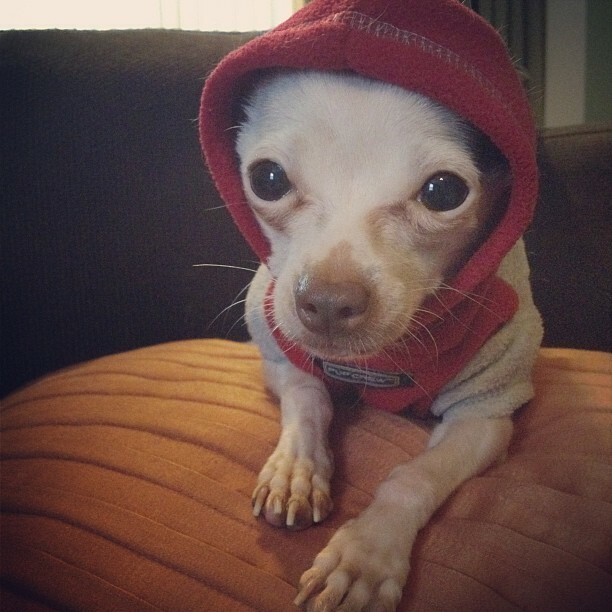 Meet Monty Burns, a tiny little Chihuahua that packs a lot of pizzaz into a pint size package. When he first came into foster he was quite malnourished and feeling very much under the weather. 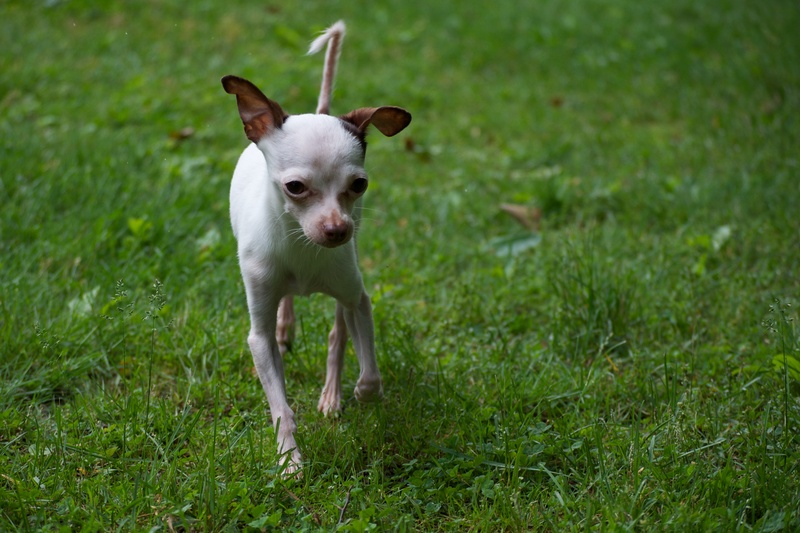 But with some nutritious food and lots of TLC, this guy has made quite an incredible recovery! He has learned a few things while in foster, such as…Toys are super amazing to play with and belly rubs rock! Monty is also a pretty smart guy who has picked up on house training and basic obedience and should continue to do well in his new home if kept on a consistent schedule. This spunky man walks very well on a leash and enjoys his daily strolls around the neighborhood. He has a lot of fun voicing his opinion at all the sights and sounds he sees along the way! While Monty gets along with most small dogs he can be a bit particular about who he lets be his canine buddy. He’d prefer to be an only dog so he can bask in the spotlight…he’s a superstar after all! Monty loves people and is quite friendly with everyone he meets. It may take him a moment to get a good sniff and a few barks in before he’ll approach, but with proper introductions he’ll be on their lap looking for kisses in no time. He is incredibly loyal, loving, and affectionate with a whole lot of silly personality mixed in. Monty would love for someone just as sweet (and goofy) to scoop him up into his forever home where he will be a beloved companion for life. 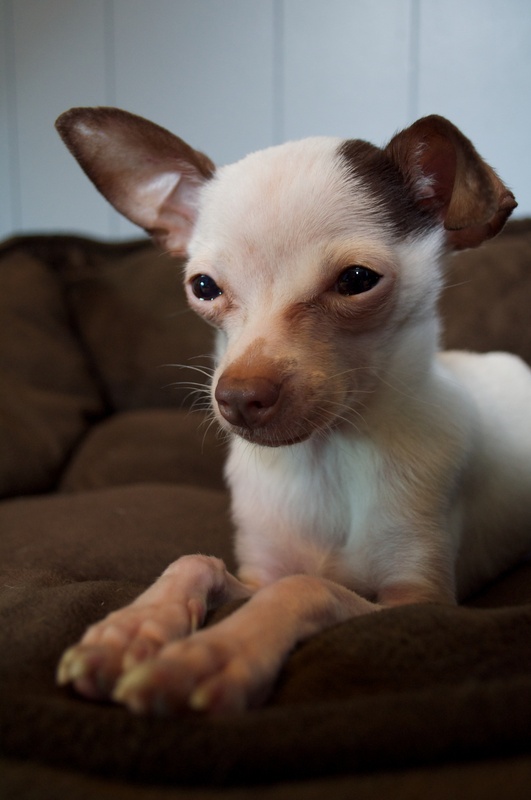 Interested in adopting Monty Burns? Please view our FAQ for info about the adoption process. Check out Monty’s PAGE for recent updates.